I lost the most cameras to vandalism or theft for this project between Skowhegan and Waterville. I jokingly correlated the missing pinhole cameras to the amount of empty Bud Lite bottles found strewn where I had mounted the cameras. In this day of surveillance, I think most people thought they were spy cameras. 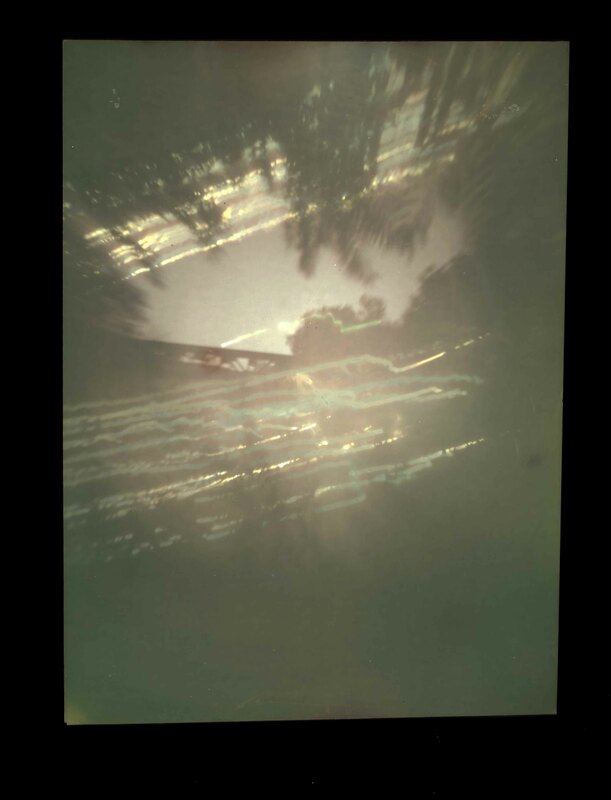 Even though I wrote all over them that they were pinhole cameras and provided my contact information. Most of the cameras were torn apart and thrown into the bushes. I could at least find them and take them back with me. It made me mad when I saw that the cameras had most likely been thrown into the river. Thanks for adding to the pollution. The one funny case of mistaken identity happened in Waterville. I had set a camera out on the Nickle Bridge. Someone mistook it for a geocache site. 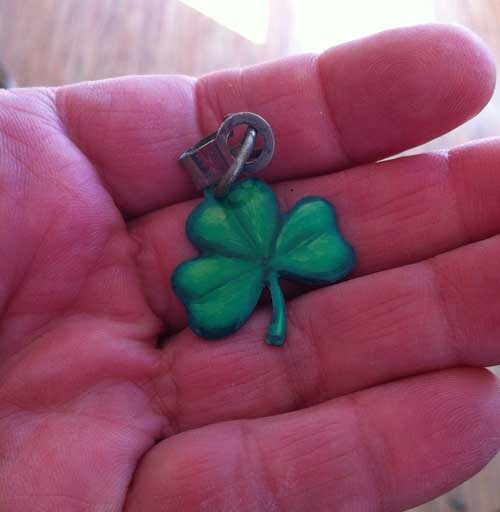 They opened the box up, signed their name to the photographic paper, and left behind a shamrock charm. Still in awe about this river project; it’s such a thoughtful way of telling a story of time in place. And I agree, it is troubling to see the degree of thoughtlessness which seems to prevail around us… All the more reason to be considerate and deliberate in our own lives. The beauty never ceases.